There was a simple reason why there was a short hiatus in the link review last week and I wish I could insert some fancy policy-influencing, mind-changing education or undercover field research event here. Truth is, I accidentally deleted the document where I keep my links. I know...maybe next time I will make up something fancy instead ;)! This week features snark on development industry forecasts and celebrity engagement and more serious posts on the limitations of humanitarian aid, the gang war in Colombia, equipment graveyards in low-resource medical systems, complexity thinking 'on the ground', ICT4D in Uganda, storytelling for social change & tips from a novelist on how to be discoverable in the virtual world beyond your written product. Nick Kristof, professors with smart minds and lots of impact are already active outside the policy bubble! Nick Kristof’s latest New York Times column with the telling title ‘Smart Minds, Slim Impact’in the print edition about the disappearance of public intellectuals and need for better academic policy advice is being criticized by a few academic colleagues. Ed Carr’s reply already highlights many of the problematic assumptions around academia, academic writing and the role of ‘the professor’ that Nick Kristof introduces, but there is one issue I feel deserves further attention: The reduction of academic outreach and public engagement to ‘policy advice’. I find Nick Kristof’s approach rather naïve and I cannot honestly believe that he really thinks that ‘better’ policy advice leads to better political decision-making and policies. 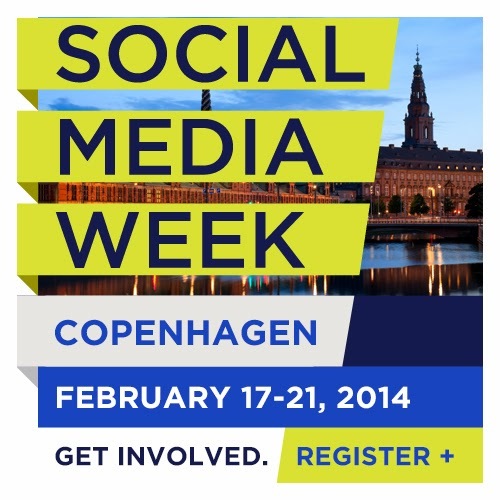 The Social Media Week in Copenhagen is about to start and I will be involved in two very interesting and also very different events on Tuesday and Thursday, the 18th and 20th. Since there is a chance that new visitors will stumble across the blog, I want to welcome you warmly by providing some background information on my recent projects, research and teaching to give you a better sense of the content behind the short and condensed presentations. The abstract does not adequately reflect what Roskilde University researcher Lene Bull Christiansen, start-up entrepreneur Jakob Vahr Svennignsen and me are going to talk about. Essentially, we are introducing our GoComm (#GoComm) initiative for the Öresund region. A recent event in Copenhagen sparked some initial reflections on the challenges of Technology for Development (T4D) that GoComm can hopefully explore in more detail. We had a great two-day seminar in Malmö last Friday and Saturday and it was fantastic that a many ComDev students participated in lively debates on-site, online and very often in-between. In some ways, I am glad that this great seminar interfered with the weekly link review. So just treat it as starting point into a new week with some 'fresh' links added over the weekend.